Following on from being served with a patent lawsuit in March by Apple, which accused it of infringing on 20 patents, Taiwanese company HTC has issued a press release announcing that it is in turn filing a complaint with the United States International Trade Commission, suing Apple for â€œPatent Infringementâ€. 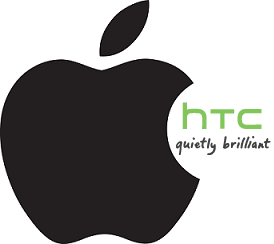 The press release mentions five alleged HTC patent infringements by Apple products that are outlined in the complaint. Good for them! As much as I love apple products I hate their bully tactics!! They already make a superior product...do they really need to also be the only product?? I guess that depends on the details of the lawsuit. If HTC did steal tech from Apple, you can't very well expect Apple to just let them get away with it. Apple spends a lot of $ on R&D. They wouldn't last long doing that if their competitors were able to use the fruits of that investment without spending any money. For me, it all boils down to the details of the lawsuit. I would really like to see exactly what HTC allegedly stole from Apple as well as what Apple allegedly stole from HTC before I assume that Apple is just being a bully. With the number of companies that are only in business for lawsuits, it seems the safe thing is to get the courts to resolve the questions. Our legal system is a mess and our patent system is worse. The patent system is befuddling and allows vague referrences to theories without proof they really work. Then the lawyers get ahold of them and start chaos. Usually what happens is after the lawyers make a mint, the court rules on who gets to pay a user fee. There is an electronics company in Toronto that let go all of their research department and now only has lawers on staff.